PA State Rep. Lynda Schlegel Culver - Good News for Farmers! U.S. Secretary of Agriculture Sonny Perdue recently announced that the Environmental Protection Agency (EPA) is moving forward to modify the agency’s Waters of the United States (WOTUS) rule. Farmers and property rights groups went to court arguing that the rule unduly prevents property owners from being able to fully use their land because the rule's overly broad definition regulates ditches that temporarily flood as federally protected waterways. Two Supreme Court decisions, one in 2001 and another in 2006, came down on the side of landowners, ruling that ponds at the bottom of a gravel pit and a marsh that are many miles from any lake or river were not navigable and thus not subject to the Clean Water Act. EPA acting Administrator Andrew Wheeler on Tuesday said the new rule was drafted to reflect the court rulings. 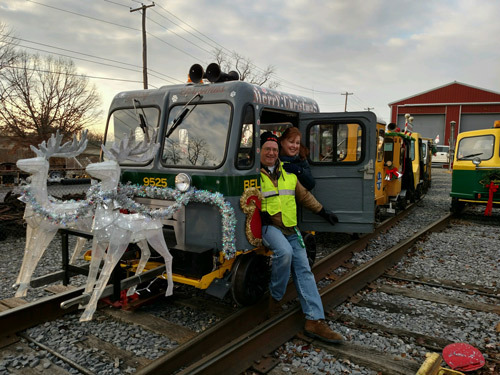 On Dec. 8, members of the North American Railcar Operators Association participated in North Shore Railroad’s 14th Toys for Tots fundraiser, where decorated rail cars traveled from Pennsylvania and surrounding states and even Canada, to collect Toys for Tots donations for less fortunate families this holiday season. I served as a guest judge again this year, to pick the favorite decorated rail cars. This is such a wonderful, unique event, and I’m so glad that many in our area are able to participate. Thank you to everyone who participates and helps to make this a success. The application is available through the foundation’s website, which can be found here. The application deadline is March 1, 2019.